Commodities and stocks have been on fire the past two weeks and I think it just may be time for things to take a breather. While I continue to stay long, taking some money off the table to lock in profits is a safe play. Just from a quick glance at the charts we can tell the odds are pointing to some type of pause or pullback in the coming days. I figure any day now we could see some profit taking. 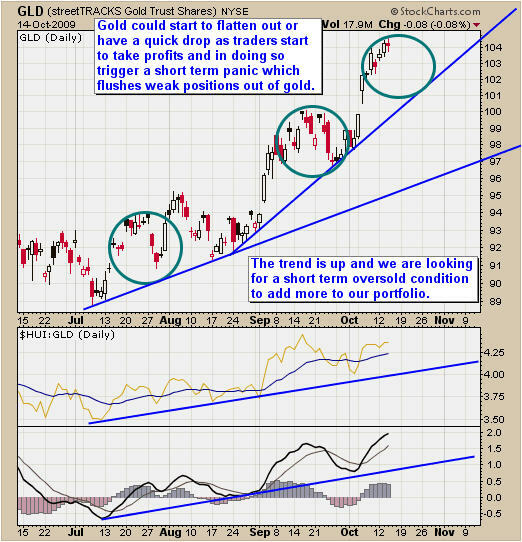 The Gold ETF is one of my favorite trading vehicles. Using simple trend lines and looking at the recent price action you can see that the price of gold is looking ready for a pullback. Buying at this level is chasing and that generally means you buy at the high and panic out at the low. 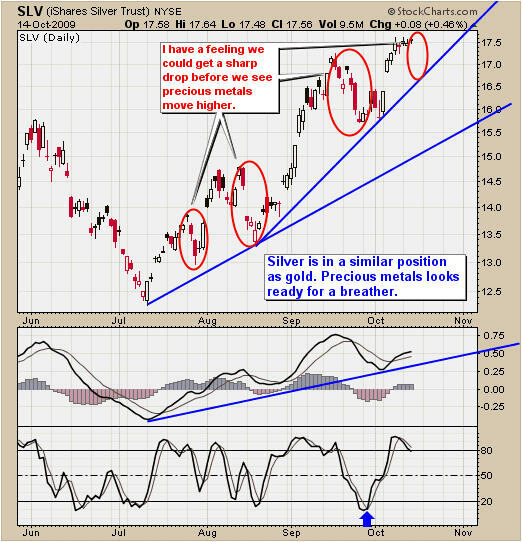 The Silver ETF looks to be in the same boat as gold. I expect to see some sideways price action or a pullback. 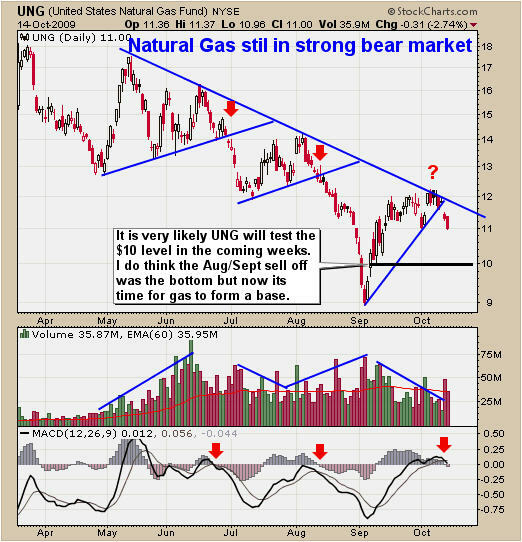 The Natural Gas ETF sure has given everyone a wild ride in the past 6 months. The bear market is still in place which can be seen on the daily chart. So far this week the price has broken down and trading at the $11 support level. This fund could generate a buy or sell signal with my trading model in the coming days so I am waiting for a clear entry and exit point before jumping on the gas wagon. The Crude Oil ETF has broken above its resistance trend line this week but still struggling to move above the August high. Volume is declining while the price rises which is a bearish indicator. 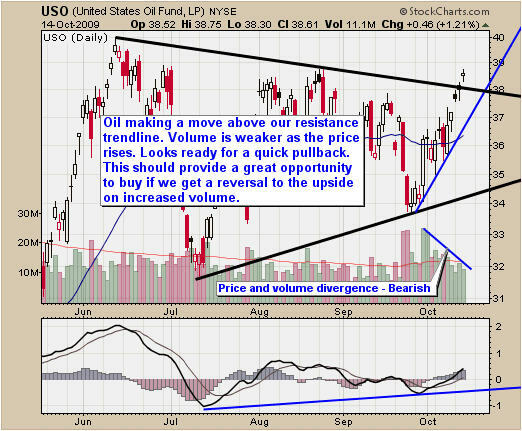 USO looks ready for some type of a pullback as it digests this breakout before moving higher. What does the general public hear and think about the stock market? 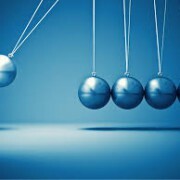 From recent emails, local financial news shows, family, friends etc… all I am hearing is how strong the market is. Indexes are making new yearly highs and company earnings are better than expected this quarter. Sounds like all we need to do is buy and life will be great! Are company earnings already priced into the market? Is all this positive market coverage getting the general public to buy up here at this possible market top? The answer is, only time will tell. No one knows for sure what the market is going to do but short term moves can be predicted with relatively high accuracy. Don’t get me wrong, I am still bullish on the market but with all this good news becoming public information you have to wonder what is next. I am still long the market but trimming my positions to lock in profits and still stay in the game. Gold Traders and Investors Get Ready To Rumble! Weak Dollar Boosts Commodities - So What’s Next?